Fuel up for fun ahead. At Jeremy’s Farm to Table choose from organic, locally sourced menu options, including the coffee. Stroll next door and visit their market offering seasonal fruits, vegetables, local breads, honey, beauty products and more. Make time for TLC. Plan a massage, facial or a mani/pedi. Chehalis offers many nail salons and several spas to provide well-deserved pampering. Grab a light lunch. Sweet Inspirations is a local favorite with a diverse menu and fun atmosphere. Once Upon a Thyme features specialty soups and incredible salads. Looking for lunch and a pastry for your sweet-tooth? Market Street Bakery is a great choice. Retail therapy is a must! 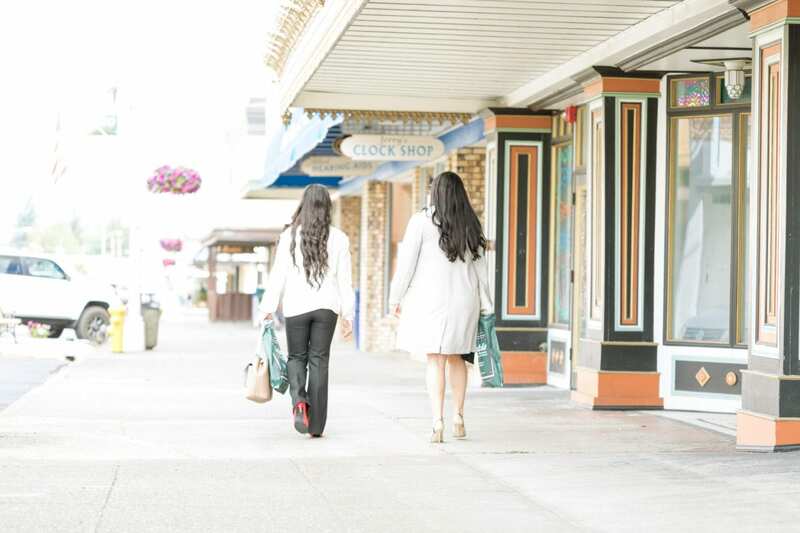 From books and home decor finds to specialty fabrics and fiber shops, downtown Chehalis’ charming boutiques will provide an afternoon of laughter and fun. Need an afternoon coffee break? For the book lovers, stop by Shakespeare & Company for a coffee and a walk through their carefully-curated used book section. For the yarn and fiber fan, visit Ewe and I for a cup of joe while browsing the incredible selection of fibers. Dine in Downtown. You can’t go wrong with the relaxed atmosphere and delicious dishes at the Shire Bar and Bistro and Mackinaw’s offers an upscale dining experience – and don’t skip dessert! Riverside Rooftop Bar and Bistro offers dinner with a view – and evening music and comedy shows. Continue your evening conversation. Enjoy an after-dinner drink at the new Curious Bar for a cocktail or head to Flood Valley Taphouse for a craft beer in a pub setting. Fuel up for fun ahead. Find gluten-free options galore at Jeremy’s Farm to Table where every effort is made to include local ingredients. Gluten-free biscuits and gravy, eggs benedict and Kalama Sourdough French Toast are a few favorites. Shop our local wares. At Ewe and I find yarns and fibers made from the wools of sheep at Black Sheep Farms. Find locally produced cheeses at Black Sheep Creamery, and stop by M&K Town Store for locally made wines and craft brews. Top quality ingredients. Once Upon a Thyme uses only the freshest ingredients, whole foods and chef Joy Templeton sources her food locally whenever possible. Try one of their signature soups and don’t forget carrot cake for dessert (gluten-free option available). Stroll the Market. 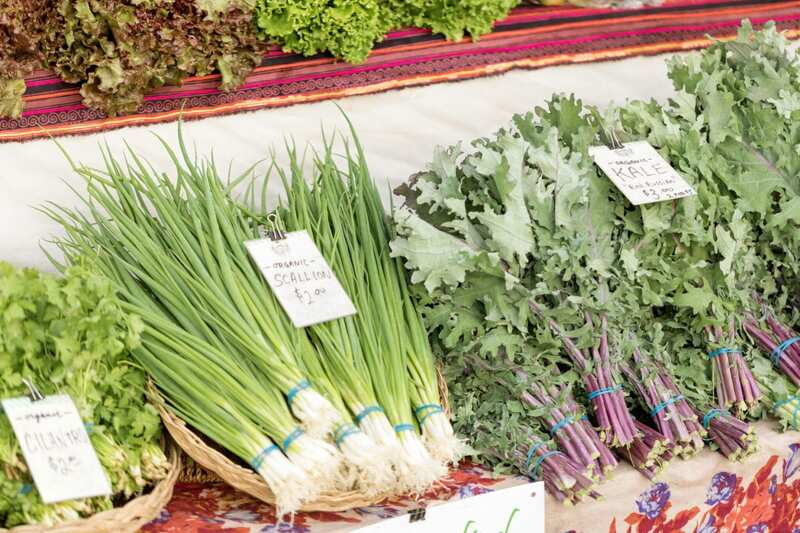 From fruits and veggies, cheeses, and farm fresh eggs, to honey, artisan bread, and organic beauty products, the Community Farmers Market at Chehalis is a gem located in the heart of historic downtown. Open seasonally, June through October. Take the trail. 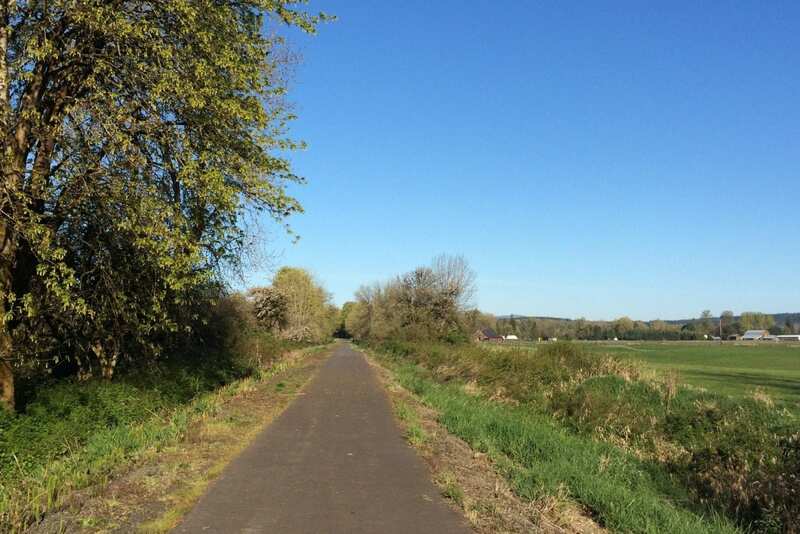 Enjoy a walk or go for a bike ride on the Willapa Trail which cuts through local farmland. Towards Adna find sheep and goats grazing near the trail. Locally sourced dinner. Enjoy dinner at Jeremy’s Farm to Table, a restaurant that offers delicious farm-to-table food focused on sourcing ingredients locally. Visit their market and find seasonal fruits, vegetables, local bread, honey, beauty products and more. Fuel up for fun ahead. The Market Street Bakey has coffee for the parents, smoothies for the kids and offers sweet and savory menu choices to get the day started right. History comes to life. Learn about the colorful pioneer spirit that gave Chehalis its start as a logging and farming community at the Lewis County Historical Museum. Honor those who have served at the Veterans Memorial Museum and hear stories of tremendous bravery and spirit. Time on the trail. The Willapa Hills Trail is the place to walk the family dog, go for a bike ride or get in your steps while enjoying the beauty of our rural countryside. Hungry tummies? The Chehalis Deli’s sandwichs and soups will satisy even the picky eater in the family and you can’t wrong with a Bearcat Burger at Dairy Dan’s, serving families for generations! All aboard the steam train! 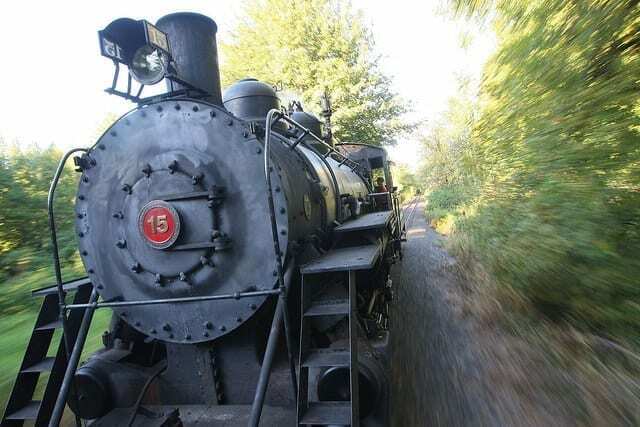 Take the kids on a scenic ride through the river valley on a working 1916 logging locomotive! In town for the holidays? The train offers specialty train rides for Valentine’s Day, Easter, Halloween and Christmas! Run off energy and go for a dip. Next door Recreation Park offers an incredible castle-themed playground to run off extra energy. 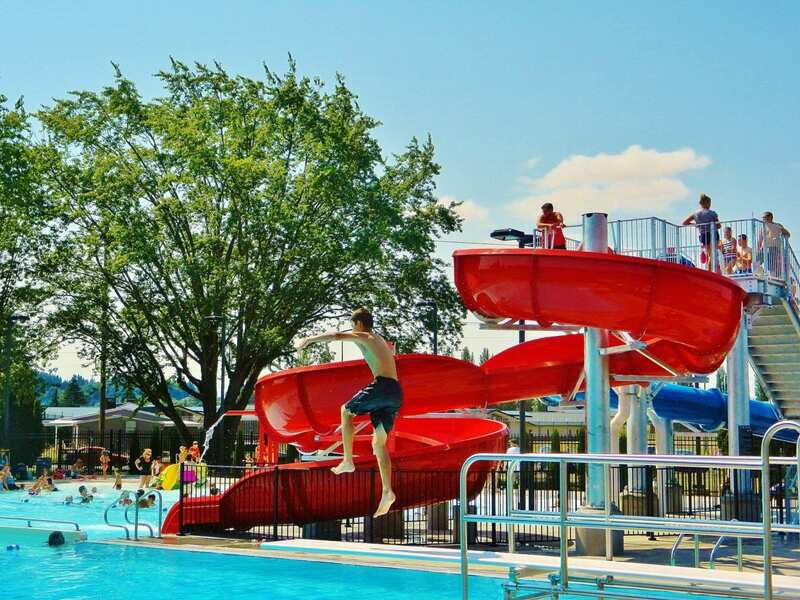 During the summer months, the kids will love the waterslides, spray park and pool at the Shaw Aquatics Center. Dinner time! Sweet Inspirations is family friendly with a wide menu for all the moods for food in the family. Sit up at the soda fountain for a new experience – and don’t forget dessert!